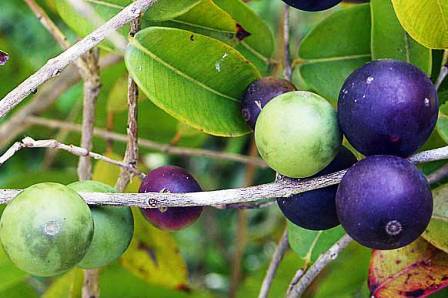 Blue grape is a close relative of jaboticaba and a member of the genus Myrciaria whose members have several bearing plants. 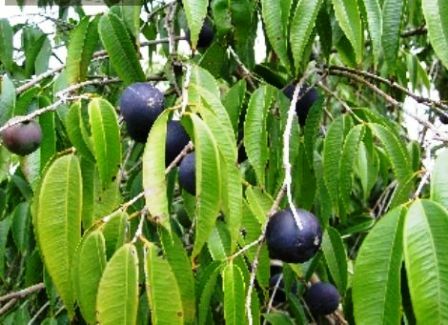 It bears a small, purple fruit with thin, sweet flesh surrounding one or two large seeds. However, it has no relationship at all with grape. As the ripe fruits have a flavour resembling some what like that of a grape, so it has also named as blue “grape” due to this resemblance. 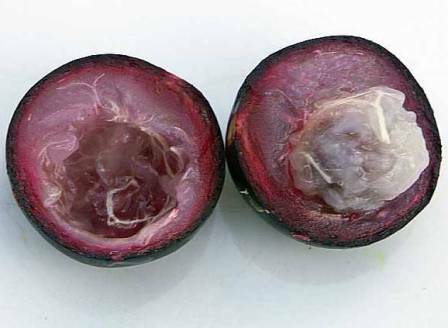 This fruit is a native of South America and it grows in the warmer coastal areas. Blue grape is a beautiful shrub suitable for planting as an ornamental shrub in gardens as well as at homes. 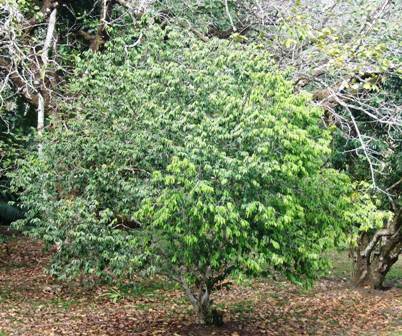 A slow growing, shrub or small tree, usually to around 2 m high. Fruits bluish to dark purple, edible, pulp grape berry flavoured. Fruits are borne in late spring or even during early fall too. It is a very heavy bearer. A single bush may produce several thousand fruits. The fruits are good to eat. Usually, these are eaten fresh. Sometimes the fruits are also made into a drink. The blue grape is little known in cultivation in spite of the fact that its fruits are of equal or may be superior quality to any other Myrciaria. It should be promoted as an orchard fruit. It grows in warmer coastal areas. Though its hardiness has never been tested with precision, but it is believed that the plant will survive mild frosts upto -2 C.
Blue grape can be propagated by seed as well as by cuttings.